“Emily Dickinson, long acknowledged as one of the most important poets of the nineteenth century, remains an enigmatic figure. Often remembered as a reclusive genius, Dickinson was in fact deeply connected to her world. 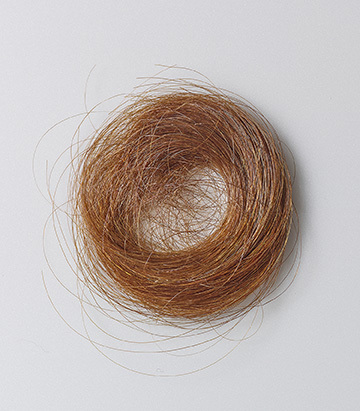 Her reputation for solitude stands in sharp contrast to the evidence of an extensive web of relationships with family, friends, and the literature and mass culture of her time. 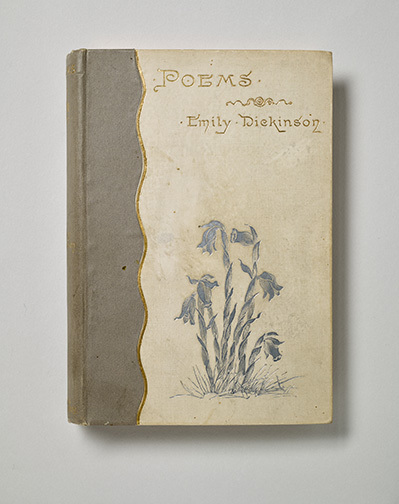 Dickinson retained private copies of some 1,100 poems—most of which she carefully bound into hand-sewn booklets called fascicles—that were discovered after her death, but she also shared hundreds of poems with a wide network of correspondents. She saw essentially none of these poems to print, however. Only ten were published during her lifetime, all anonymously and likely without her consent. Her unique process of composing manuscripts has challenged generations of editors, who have struggled to interpret and publish her idiosyncratic punctuation, ambiguous word choice, and unusual use of paper. 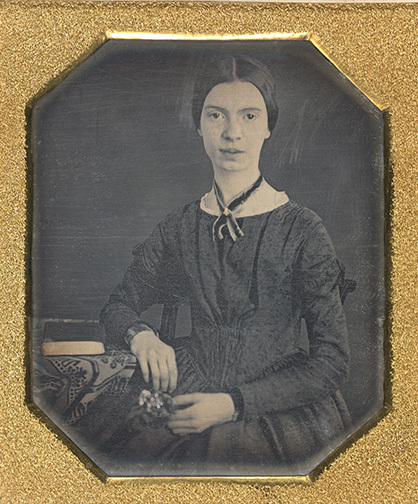 Emily Dickinson, Daguerreotype, ca. 1847. Amherst College Archives & Special Collections. Gift of Millicent Todd Bingham, 1956, 1956.002. 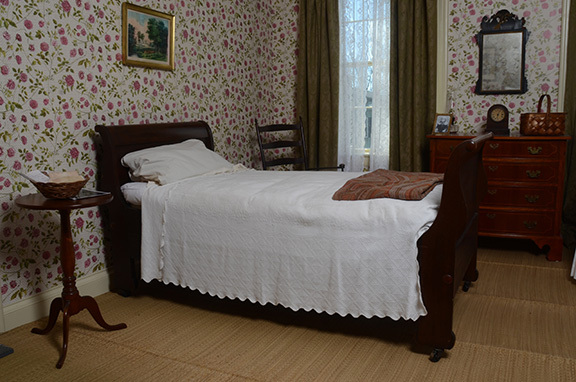 Emily Dickinson’s bedroom, featuring the floral wallpaper which will be on view at the Morgan. Emily Dickinson Museum. Photography by Michael Medeiros. 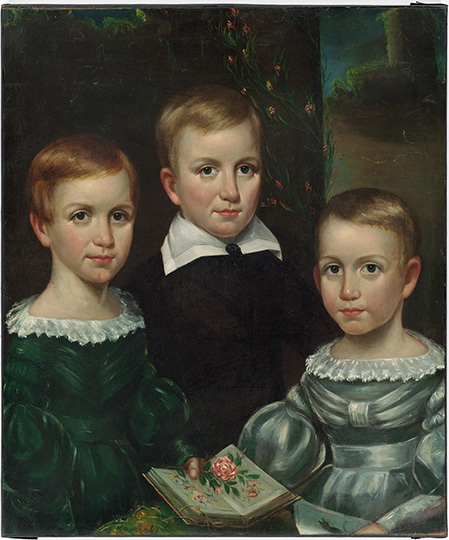 Otis Allen Bullard (1816–1853), Emily Elizabeth, Austin, and Lavinia Dickinson, Oil on canvas, ca. 1840. Houghton Library, Harvard University. 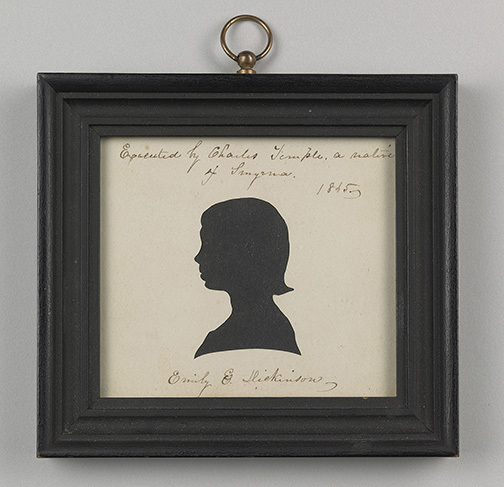 Charles Temple (1924–1906), Emily Dickinson, Cut paper silhouette, 1845. Amherst College Archives & Special Collections. Lock of Emily Dickinson’s hair sent to Emily Fowler Ford, ca. 1853. Amherst College Archives & Special Collections. 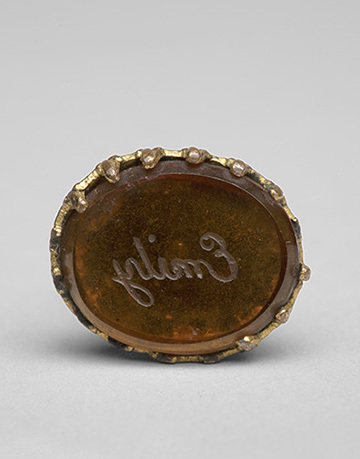 Swinging seal engraved Emily, Gold and citrine; English or American, ca. 1850. Houghton Library, Harvard University. 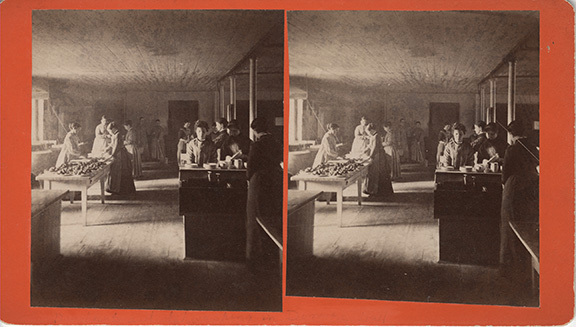 Mount Holyoke Female Seminary students make doughnuts and wash dishes in Domestic Hall, Stereoscope card, ca. 1877. Mount Holyoke College Archives and Special Collections. 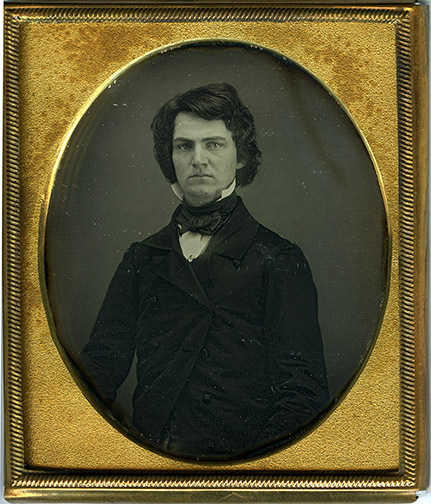 William Austin Dickinson, Daguerreotype, ca. 1850. Amherst College Archives & Special Collections. Emily Dickinson (1830-1886). I’m Nobody! Who are you? Poem, ca. late 1861. Houghton Library, Harvard University. 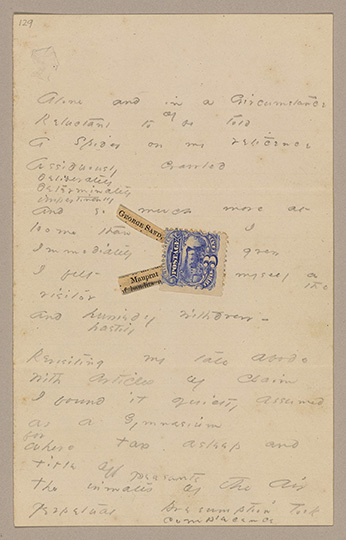 Emily Dickinson (1830–1886), Alone and in circumstance, Poem with “George Sand” and “Mauprat” clipped from Harper’s Monthly pasted to sheet, ca. 1870. Amherst College Archives & Special Collections. 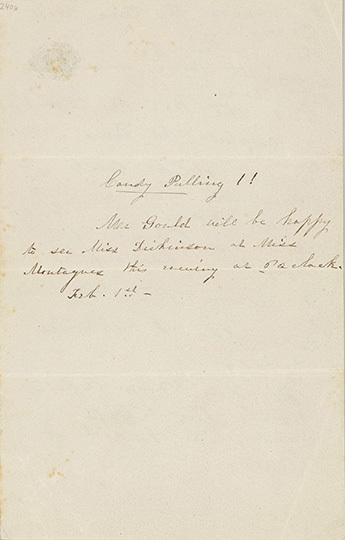 Emily Dickinson (1830–1886), I suppose the time will come, Poem written in 1876 on the verso of invitation from George Gould dated February 3, 1850. Amherst College Archives & Special Collections. 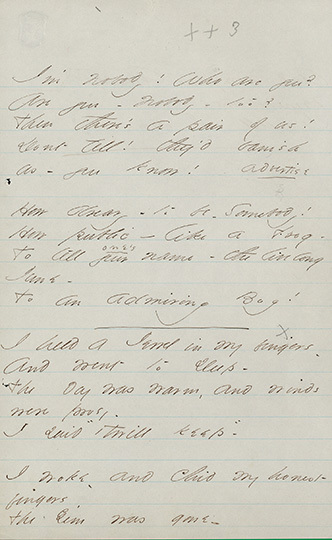 Emily Dickinson (1830–1886), Poems, Boston: Roberts Brothers, 1890. Amherst College Archives & Special Collections. 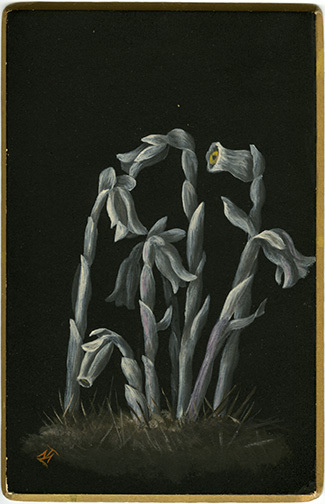 Mabel Loomis Todd (1856–1932), Indian Pipes, Oil on card, 1882. Amherst College Archives & Special Collections. 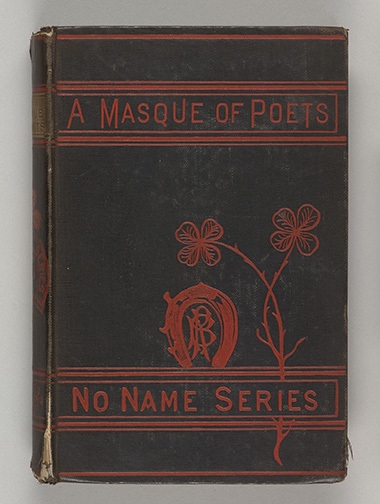 A Masque of Poets Including Guy Vernon, a Novelette in Verse, Boston: Roberts Brothers, 1878. The Morgan Library & Museum, Bequest of Gordon N. Ray, 1987. The exhibition was organized in conjunction with Amherst College. Exhibition curators are Mike Kelly, Head of the Archives & Special Collections at Amherst College, and Carolyn Vega, Assistant Curator in the Morgan’s Department of Literary & Historical Manuscripts. Images courtesy The Morgan Library & Museum.